The programme in Gabon will be fully enforced from 31st March 2018 and goods will not clear customs without the mandatory Certificate of Conformity which Intertek can issue. 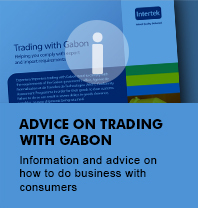 With a rapidly expanding market for imports in Gabon and to help fulfill its responsibility to protect Gabonese consumers, the Agence Gabonaise de Normalisation (AGANOR) has implemented stringent and clear guidelines to inform exporters, and assure Gabonese consumers that imported products comply with applicable regulations. 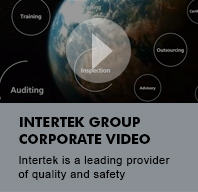 This site has been designed by Intertek, an AGANOR Accredited Inspection Body to give companies exporting to Gabon, all the information they need about the Gabonese Conformity Assessment Programme called PROGEC (PROgramme Gabonais d’Evaluation de Conformité) and its requirements. Also included is contact information and a resource area containing essential documentation required for PROGEC compliance for Gabon. If you continue to use our site we will assume that you are happy to use these cookies.